Happy Tea Cup Tuesday Everyone! How I love Tuesdays! Sharing with you all, and coming to see all your lovely china has been a real thrill. Today I am sharing with you 3 cups that speak to me of summer. I really enjoy using them everyday. 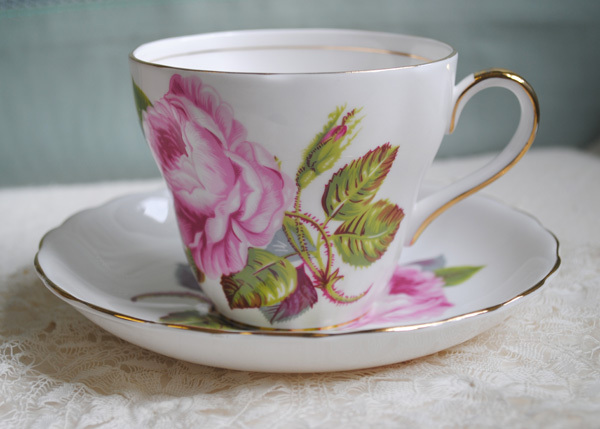 A good cup of English Breakfast tea is fabulous in one of these pretty cups. This first cup I have had about a dozen years. 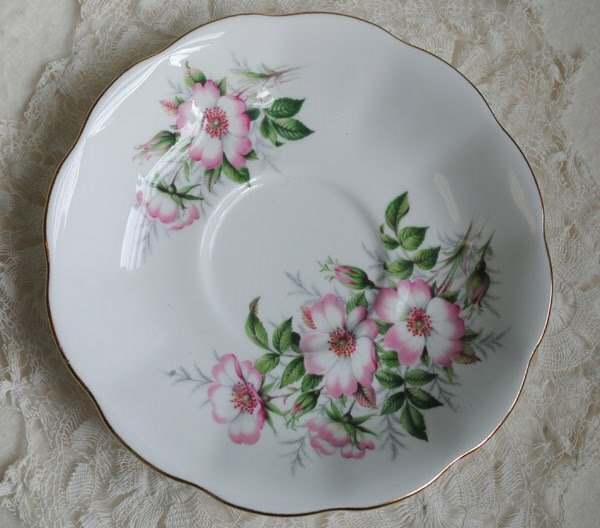 It was made by the Rosina China Company, in Stoke on Trent in England. It is a footed and waited tea cup shape. I love the roses, and all the gold accents around the edges and the handle. My second cup here also has beautiful roses. It is one of the cups I purchased on my last trip. I love how you can see the stem so clearly. This cup is just slightly waisted. 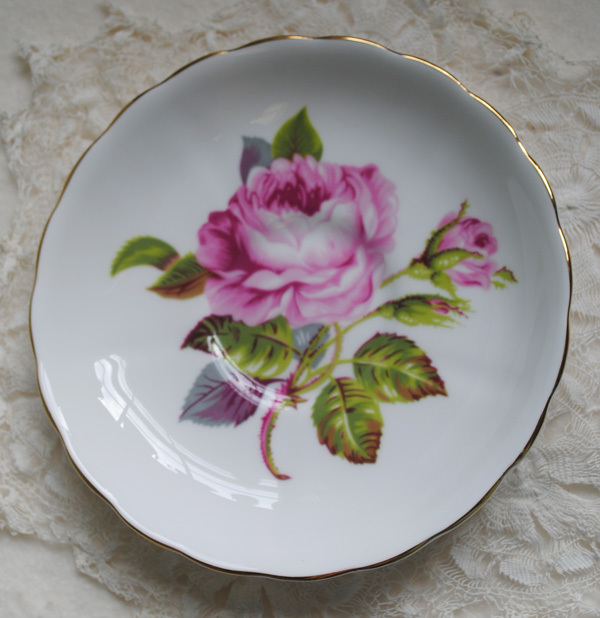 Just one simple beautiful rose adorns the plate. 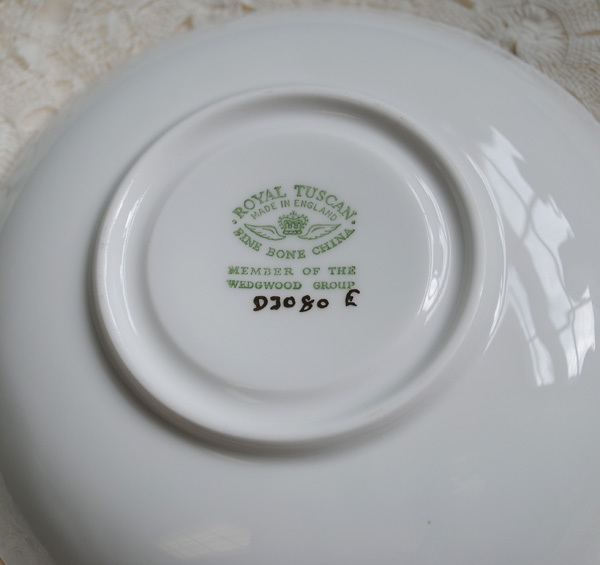 Royal Tuscan made this cup and saucer. Here is my third cup for today. This Royal Albert has a very fancy shape, with raised designs. The roses are simple like the old roses used to be before hybridizing. The handle has a split loop with a thumb rest. This cup has a slight waist as well. A simple saucer, but very pretty. 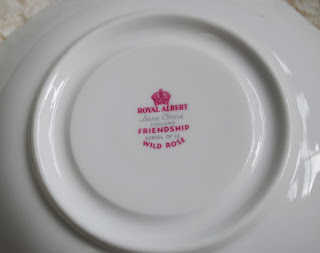 This is one of Royal Albert's Friendship cups. You would think that it would be easy to date a cup from Royal Doulton. It is not very old. But my search online did not bring up any information to help me with any kind of firm date. But I do think it is within the past 30 years. I thought I would throw in another type of handle. This one is a "seven" handle. How do I know....well, I named it myself! I looks like a seven to me. This cup is not waisted at all. Can you tell? 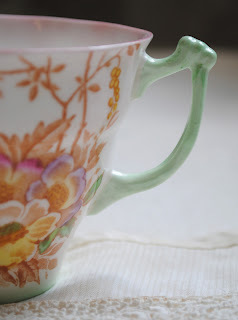 Next week I am hoping to share some cups that I think are unusual, maybe for their pattern, colors or style. 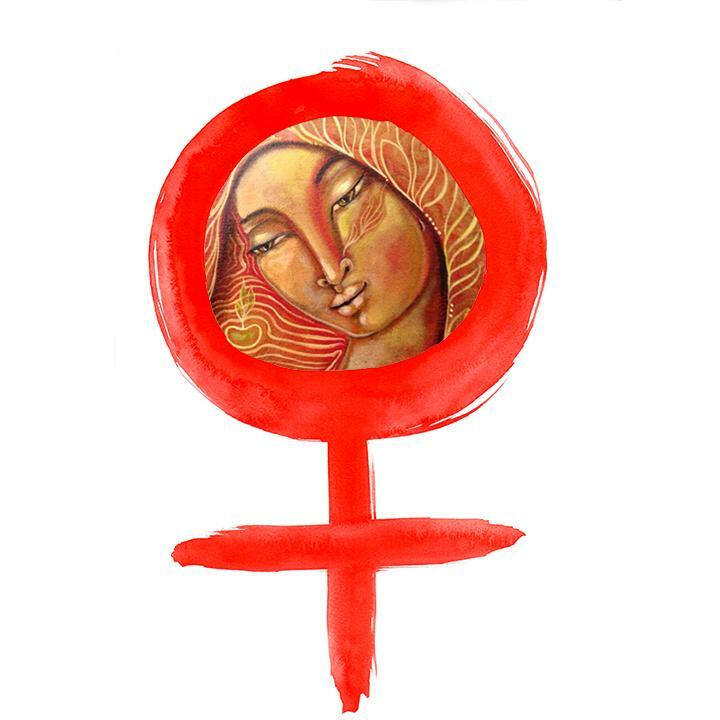 If you would like to join me in this theme, please do. Otherwise, please share with us any tea cups that you may have. 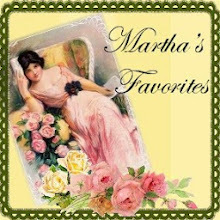 Martha and I love seeing your lovely china, hearing of their history or how you came to have the cup. To play along, create your post with your tea cup(s) in it. Please do not sign up if your post does not include a tea cup. Then come here and sign in with Mr. Linky below. All you need to do is fill in the two blanks. You surely do have some very fine teacups! Very pretty roses; love the pink! The 'seven' handle really does look like a seven! You always share such an interesting post with a wealth of information. Thank you and have a wonderful evening. All of these teacups and saucers are beautiful but, i really love the second one! I LOVE the saucer with the one big flower! You don't see a large flower like that on a saucer very often. Just lovely! 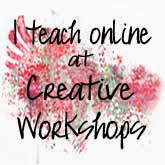 Have a wonderful week and thank you for hosting! I just love seeing all your teacups every week. These are beauties! Happy Tea Tuesday to you!! Beautiful tea cups and love the 7 handle!!!!! Your teacups this week are really pretty. I love all the different roses and the fancy raised designs on the Royal Albert cup are gorgeous. Great name you came up with for that handle - it does look like a seven. 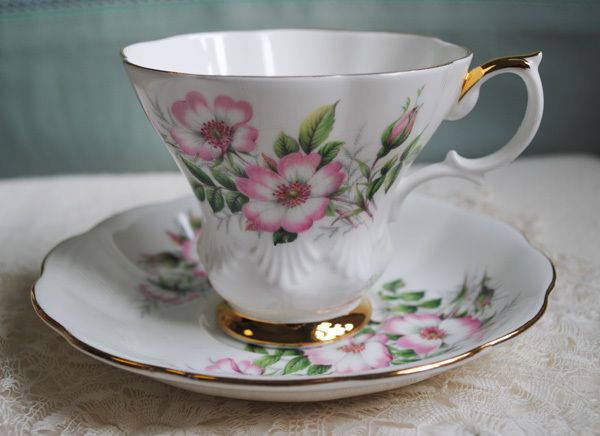 Your tea cups are just beautiful, Terri. 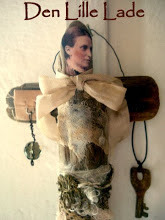 I lok forward to seeing a part of your collection every week. LOve your teacups Terri! Thanks for hosting this beautiful event! Take care..
Terri..another exquisite post of dazzling cups..just gorgeous and so romantic looking..I am smitten with them all!! 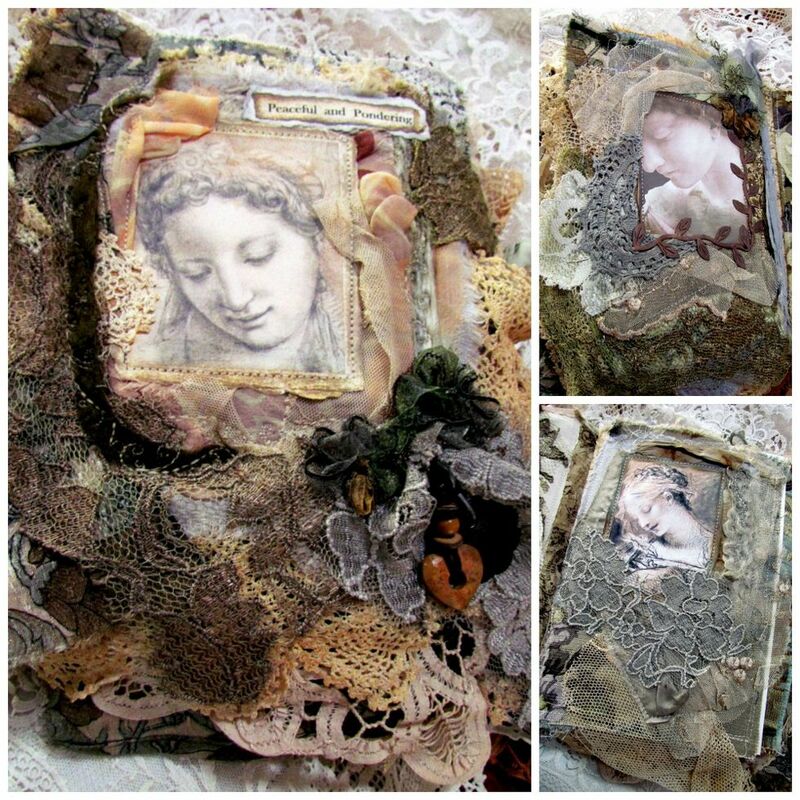 THANKYOU..I just receievd my package ..I am thrilled and thank you once again..I posted on it ..hope you enjoy! Terri your teacups are beautiful. I am enjoying this visit with you and so many others. As always, I have learned a bit more about teacups and how to kind of tell what century they are from. I have tried to do some research on some of my teacups, and even with the name of the pattern and maker, nothing pops up, so I guess our tea cups are also mysteries! 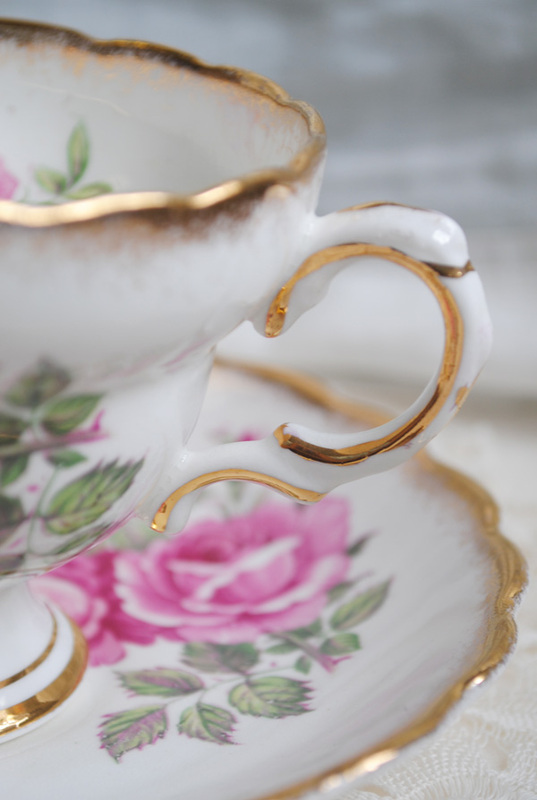 Who doesn't love a good mystery, especially when the mystery is a beautiful tea cup, such as yours. Tea cups and vintage china are my new found love. I just love the delicate beauty each cup holds. Thanks for the tidbits of information on dating china. 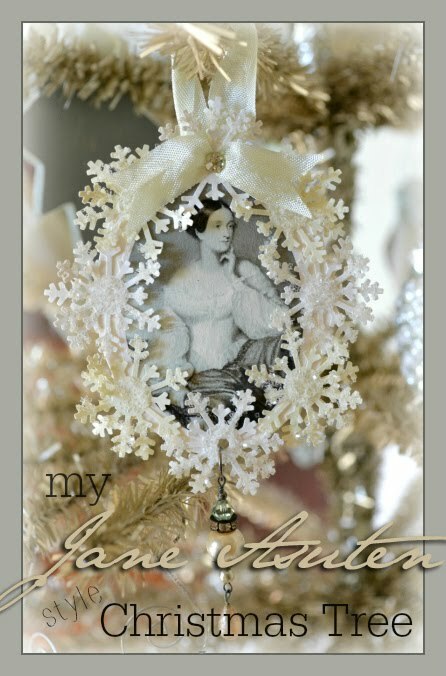 I'm really quite an eclectic collector and enjoy learning about my newest vintage beauties. 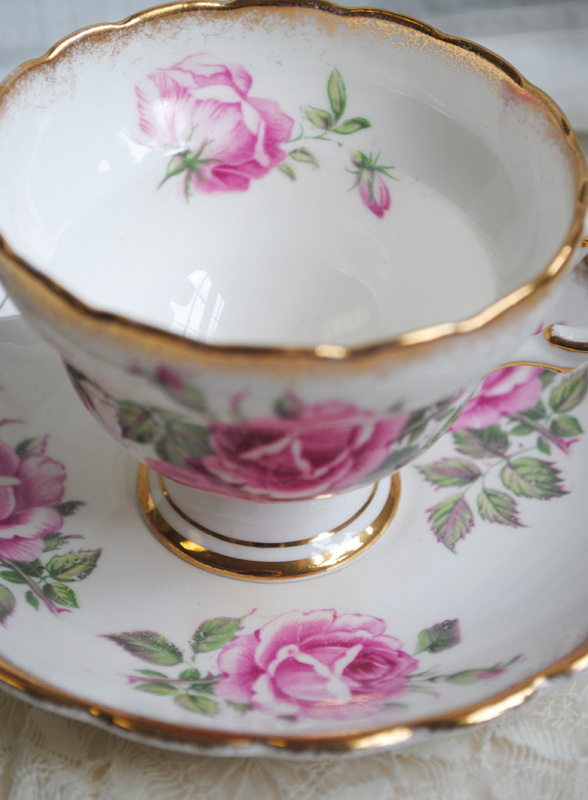 Hello Terri- Your teacups are so lovely and thank you so much for the information. It is always very helpful. I want to learn more about the history but some are harder than others to learn about. Take care. What lovely cups. Do you have any of the others in the Friendship series? I had only one for years, not even knowing it was part of a set...since I found out I have been able to purchase two more at a very good price. I always love seeing your teacups, Terri. I think the title, seven handle, is perfect! I am really greatful for the information and tips you give Terry. As I don't class myself as a serious collector but I really enjoy China TC&S and they give me great joy. Hi Terri! You have the loveliest tea cups and I always learn so much from each of your posts. Thank you for another Tea Cup Tuesday! Hi.....I just found you over at Kiki's what a pretty blog you have.....and what a great idea to have everyone join you for tea. I have been scouring flea markets for pretty cups....I have managed to find a few pretty tea things....but they are not easy to find at a reasonable price. Oh well.....just keep on looking. 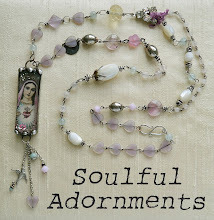 These are all so, so lovely! Very delicate and pretty. My your teacups just get prettier by the week!.., i's really hard to pick a favorite! Yet I must say the pink one as well as the interesting handle caught my eye! 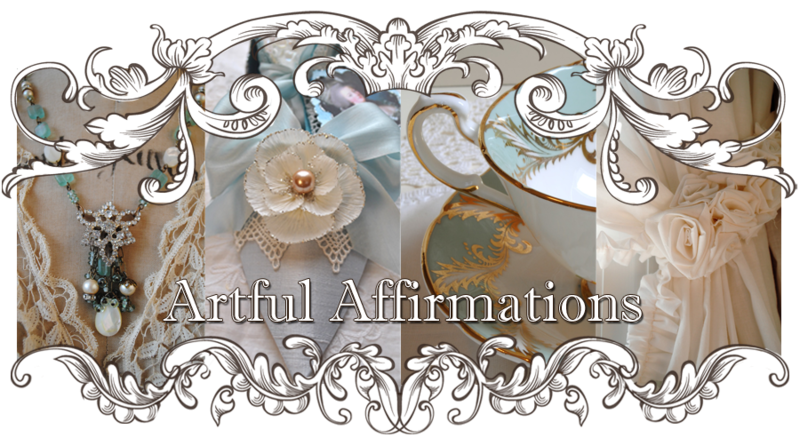 Thanks for hosting yet another delightful Teacup Tuesday! 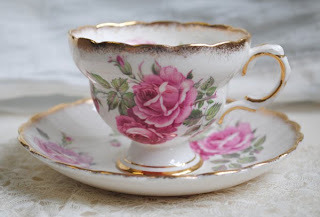 ..,I've found just the teacup to share next week, which I was delighted to find and purchace just two days ago while antiquing with a dear friend!.., Fun! I am so late making the Teacup Tuesday rounds today. But I'm finally here. As always, all your teacups are beyond beautiful. I think I like the second one best, the one you acquired on your trip. Again, I appreciate all the backstamp information you share with us. It is very interesting. 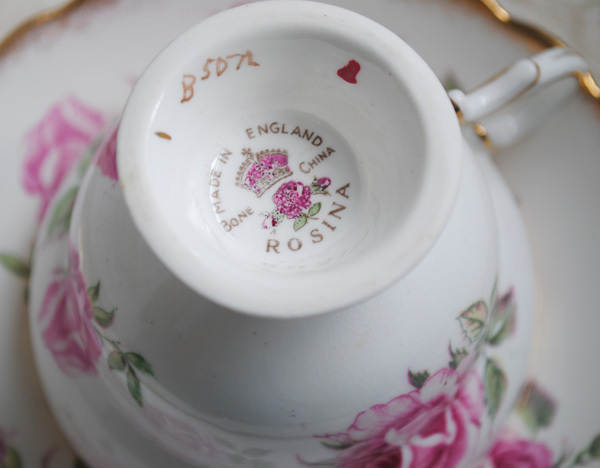 I love the 'Rosina' teacup, very pretty! this is so sweet! I really love the pattern and it is very similar to a small set my Mom gave me when she moved a few years back! beautiful! You have more pretty ones today! I have the tea cup, saucer and dessert plate at the very top!!!! I bought it in London. It is one of my favorite cups. I love how vivid the pink is. 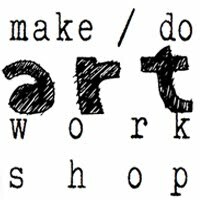 I also love this blog! Hey Terri! I didn't "get it together" in time this week to participate, but I sure hope to next week. I've got a couple of new cups I've been anxious to show!! Tea Cup Tuesday Once Again!